Dunhill Desire Blue is the fragrance evoking the rationality and refinement of the Dunhill Gentleman. Skilled and subtle, this man has a judgment valued by others and an artistic sensibility. Individual and self-relevant, Desire Blue embodies self-exploration. This aquatic, amber-like fragrance was inspired by a man's self-awareness. The fresh, deep notes of Bergamot, Orange and Flower Water impart a sparkling dimension while Amber Crystals, Musk, and Tonka Bean warm and soothe the senses. Explore the entire range of Perfumes (EDT & EDP) available on Nykaa. 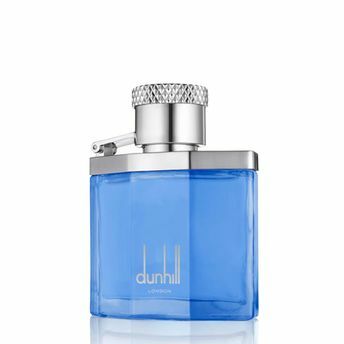 Shop more Dunhill products here.You can browse through the complete world of Dunhill Perfumes (EDT & EDP) .Alternatively, you can also find many more products from the Dunhill Desire Blue Eau De Toilette range.